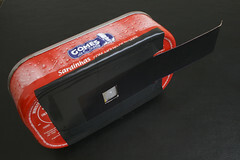 A pinhole camera is the most low-tech, elemental method for creating a photograph. 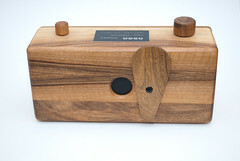 However pinhole cameras' unique image qualities, design flexibility, and minimal cost continue to appeal to photographers even in the 21st century. 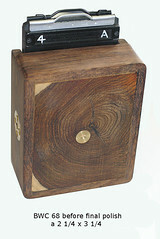 The principle of the pinhole camera has been understood since antiquity. If a darkened container admits light only through a single tiny aperture, this effectively projects an upside-down image of the scene outside. If some image-recording medium faces the opening, each point on its image plane can only receive light from a single direction—the one which aligns with the pinhole. Thus, all the areas of light and shadow in the scene can be captured, whether onto film, enlarging paper, or a digital sensor. Unlike photography using a lens, there is no one defined plane of focus; instead, the image can be recorded at whatever location and scale is preferred. This undefined focus also yields infinite depth of field, although it might be more accurate to say that the entire image is equally unsharp at all distances. Makers of pinhole cameras must choose the diameter of the pinhole itself with care. If too large, the image will be quite blurred and show little detail. However this is also true if the pinhole is too small, due to the diffraction of light waves. Thus, an intermediate diameter gives the optimum detail. For cameras of typical dimensions, diameters of 0.2–0.5 mm are used. Naturally this admits very little light, and exposure times may need to be quite lengthy to compensate. However this gives photographers the ability to record moving objects as blurs (or to make them disappear entirely) even in bright sunlight. Pinhole photographs typically soften fine details, and instead emphasize the large-scale elements of an image: Light & shadow, composition, and the overall form of the subject. This type of abstraction may be a desirable aesthetic effect for some photographers. Some pinhole designs provide extreme wide-angle coverage, or distortions of perspective caused by a curved image plane. (The iconic "Quaker Oats" pinhole camera is one example. ) A lensed camera offering analogous effects may not exist, or it may be prohibitively expensive. Wide-angle pinhole images typically exhibit dramatic illumination fall-off around their periphery—another aesthetic effect that may suit a photographer's particular vision. And experimental pinhole camera designs can expose multiple overlapping fields of view, or completely transform the geometry of the scene—the options are limited only by the imagination of the camera designer. Photographers interested in pinhole images may choose from several pre-made cameras (some are noted in the camera-wiki.org category pinhole). Some of these cameras are works of fine craftsmanship, with price tags to match. Others are educational kits which provide all the materials for construction. Another commercially-offered option is a body-cap pinhole, replacing the interchangeable lens of a conventional camera but leaving all its other functions unaltered. But pinhole-camera construction is exceptionally forgiving, and complete working cameras can be built from inexpensive or even free materials. Thus, numerous amateur experimenters, craftspeople, impoverished students, or fine artists have chosen to create their own pinhole cameras, or to convert a conventional camera into a pinhole version. Several possibilities for home-built pinhole designs are discussed in the article homemade pinhole camera. Commercially made pinhole adapters are a common way of converting conventional interchangeable lens cameras for pinhole photography. Typically the adapter is a body cap with a pinhole that takes the place of a lens. A wide variety of body cap adapters can be found on auction websites such as eBay. Pinhole cameras have been constructed at all different sizes. One quirky project is to build a camera so small it can be held inside the mouth; the photographer's own lips then form the "shutter." The current record holder for the world's largest pinhole camera is one built in a disused fighter-plane hangar at the former El Toro Marine Corps Air Station, in Orange County, California. This exposed an image whose dimensions were 9.6 x 33.8 meters (31.6 x 111 feet). 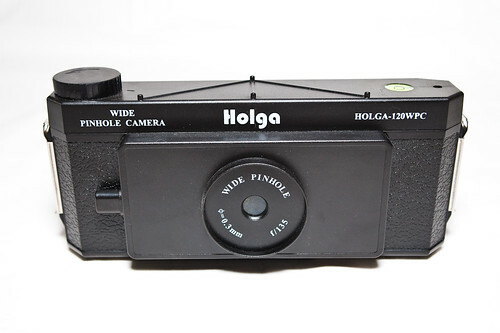 ↑ Early writings about pinhole images at Wikipedia. ↑ Examples from Flickr here and here. Quinnell, Justin and Buczynski, Josh. 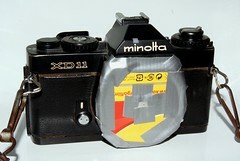 Build Your Own Paper Cameras. Lewes (UK): Ilex Press, 2009. 96 pages. ISBN 978-1-905814-62-6. This page was last edited on 8 November 2017, at 11:36.